Could Facebook’s decision to launch its new Music Stories post format have been influenced by the number of users who also use Spotify? 12 percent of active Facebook users listened to music via Spotify last month. That figure rises to 19 percent for those between the ages of 16 and 24. 15 percent of Facebook users in the top 25 percent in terms of income listened to music via Spotify last month. This is a canny move from Zuckerberg & Co., leveraging one of the top interests among the Facebook audience (fully two-thirds of whom say they are strongly interested in music). Spotify is also the most popular music streaming service among Facebookers; each month, 12 percent say they are using it, with peaks among the youngest age group. And Spotify has an even greater overlap with Facebook in certain markets, spiking sharply in its home country of Sweden (55 percent), but also reaching 20 percent in the U.K. and 18 percent in the U.S. Giving these music lovers a simple way to share their interest on Facebook could bring great benefits for both services. 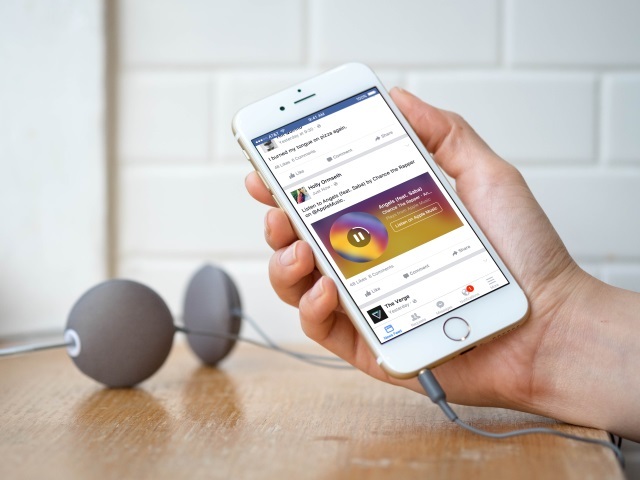 For Facebook, this new feature could prompt many of its more passive users to re-engage with the site, while for Spotify, the benefit of having its music shared across the world’s largest social network is obvious. Readers: Do you use Spotify?